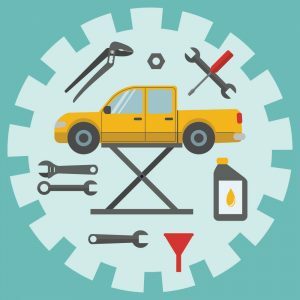 Whether you are a small local auto parts business just launching into the market or a Fortune 500 auto parts company that is well-established, 3PL Center has developed innovative solutions and applied our passion to help you overcome the toughest fulfillment, packaging, warehousing, and distribution challenges. Our industry solutions, customized to your unique position in the auto parts marketplace, enable us to deliver high-impact efficiency for your business. Today more than ever, auto parts businesses are facing greater challenges than before. Demand is rising but manufacturing costs have gone up. Globalization is also providing more profit opportunities but distribution has to be sorted out before your business stands to capitalize on buyers abroad. Your business needs to understand how to get to the market efficiently. But before that, you need to consider your warehousing capabilities to handle thousands, if not millions, of SKUs that you can sell through multiple channels, including on your e-Commerce online store. Because auto parts can range from as small as nuts and bolts to as large as heavy machinery engines, you need a robust warehousing and distribution system to pick and pack your orders, and ship them out fast to generate maximum revenue. Why Choose 3PL Center for Your Auto Parts Business? At 3PL Center, we have more than 45 years of combined experience in working with auto parts businesses, ranging from small to mid-sized to large organizations. During this time, we have learnt many precious lessons about the auto parts niche, and fully understand what is needed for your business when it comes to third party logistics. Warehousing: Our warehousing facilities are designed in a way that we have an organized system to handle your auto parts inventory. You can also benefit from the expertise of our professional warehouse employees, as well as enjoy peace of mind with the complete security, insurance, safety, and environmental compliance that we feature. Fulfillment: We offer an affordable and scalable fulfillment service, which you have full control over through our proprietary fulfillment software that allows you 24/7 access to know exactly the status of your auto parts stock. Distribution: When it comes to distribution of your auto parts orders, we have stellar transportation services in place to optimize the entire distribution process. You can also enjoy discounted carrier rates as well as see your orders reach your customers within one to two days. 3PL Center practices a client-first approach in what we do, so you can be sure that your specific requirements are our priority concerns. Whether you seek flexibility in a certain 3PL service, our team will be on-task to customize our offerings to accommodate your needs. Contact us today to find out how we can take your auto parts business to the next level with our range of third-party logistics capabilities.